What is the purpose of this? Is it to enhance playability at the bottom range of the instrument (by making the first fret easier to bend and push down)? If it is then why don't all guitars have it? On a guitar with the usual bone or plastic nut, an open string can sound different than a fretted string. This is due to the difference in how the string reacts to metal vs. bone or plastic. A zero fret gives open strings the same tone as fretted strings. A zero fret may also be easier/cheaper to manufacture than a traditional nut. With a traditional nut, the string slots must be cut precisely to the right depth. With a zero fret, the slots in the nut are cut deep without no need for precision. The nut is only responsible for the horizontal separation between strings; the zero fret is only responsible for the height of an unfretted string. 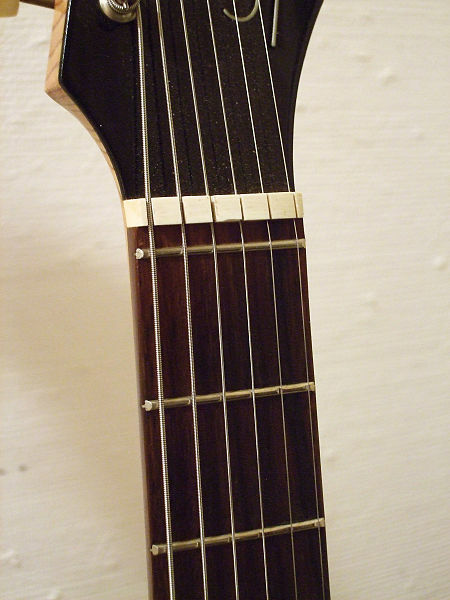 It is presumably cheaper or easier to get the correct height with a zero fret than it is to cut nut slots to the correct depth. Tuning may be easier with a zero fret, due to lessened friction with the nut (the nut slots can be cut wider when a zero-fret it used). Over time, a wound string can wear down its slot in a traditional nut. With a zero-fret, that wear transfers to the zero-fret instead. It is possible that the zero-fret will last longer than a traditional nut would.